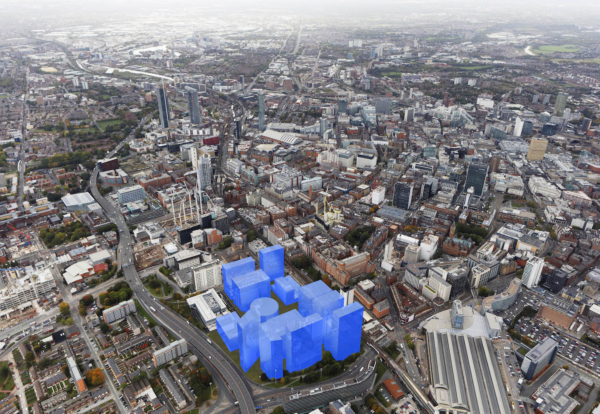 The University of Manchester is looking for an investor and development partner to deliver the next major phase of its £1.5bn North Campus scheme. The university has submitted a Prior Information Notice to the Official Journal of the European Union to start the search for a partner for the ID Manchester project. The 26 acre ID Manchester site could contain 3.5m sq ft of mixed use space in the heart of the city next to Piccadilly Railway Station. The University currently occupies the recently opened £60m Masdar Building, home to the Graphene Engineering Innovation Centre, and the Manchester Institute of Biotechnology at the south end of the site. Sir Richard Leese, Leader of Manchester City Council, said: “The potential of ID Manchester is huge. Announcements and details of special events to find out more about the opportunity at ID Manchester will be posted here .